Bedford Stuyvesant Restoration Corporation (Restoration) is the nation’s first community development corporation founded May 1967. For 50 years, we have partnerned with residents and businesses to improve the quality of life in Central Brooklyn. We foster economic self-sufficiency, enhance family stability, promote the arts and culture, and transform neighborhoods into safe, vibrant places to live, work, and visit. Our dynamic institution has 5 departments that create significant, sustainable and demonstrable impact. These departments are: Economic Solutions Center, RestorationART, Weatherization, Center for Healthy Neighborhoods, and the Brooklyn Business Center. BEDFORD STUYVESANT RESTORATION CORPORATION accepts donations. Donate Now. 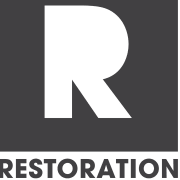 Would you recommend BEDFORD STUYVESANT RESTORATION CORPORATION?